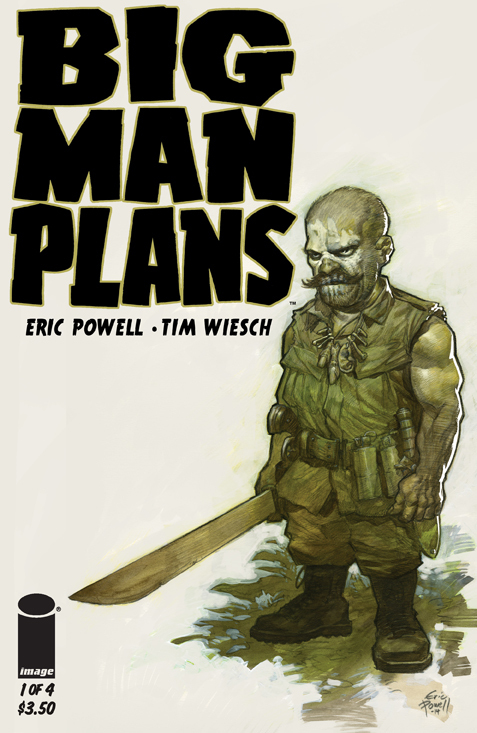 Eric Powell proves once again he can handle big, outrageous ideas while keeping them gritty and somehow maintaining a sense of being completely grounded. Big Man Plans take us through the life of one man who has taken his fair share of abuse in his life, but now he’s ready to push back for explosive results that are already looking to be one hell of a ride. Once again Holy F*ck comes out with some of the most outrageous, blasphemous one liners you could ever possibly imagine and we love it. The series is completely ridiculous and hard to take seriously which is why it successfully gets away with Jesus tonguing the Devil or the latter owning a UFO he got when alien’s tried to prob him and makes us laugh so hard. The latest entry of ’68 drops us with a lost and abandoned soldier in Vietnam whose grip in reality is very spotty at best. 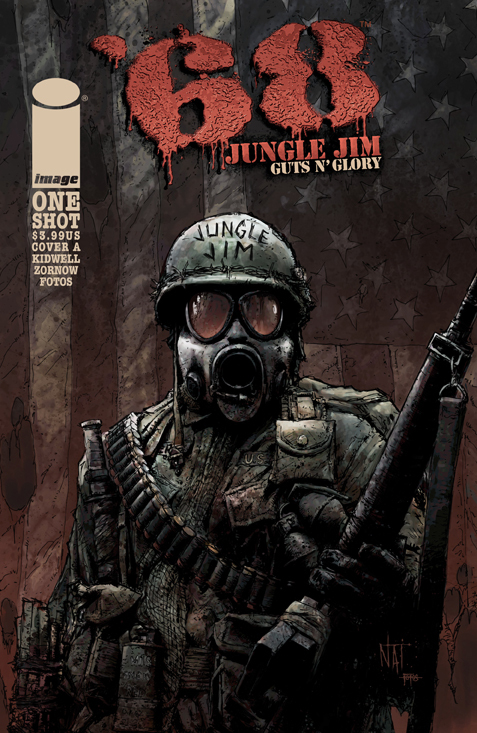 Kidwell does a great balancing act of showing us Jim’s splitting personalities while Zornow brings us the darkness and gore you would expect from the Vietnam War and a zombie apocalypse. 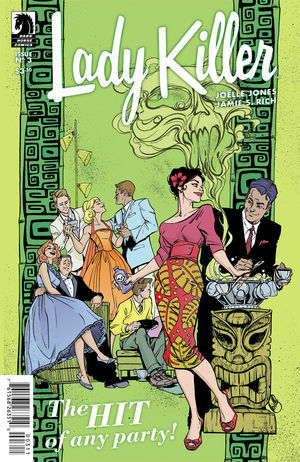 Introduced last issue, we learn the back story of Eldre Koh, a warrior has been searching for Illyria as he believes she has information that will lead him to the revenge he seeks. 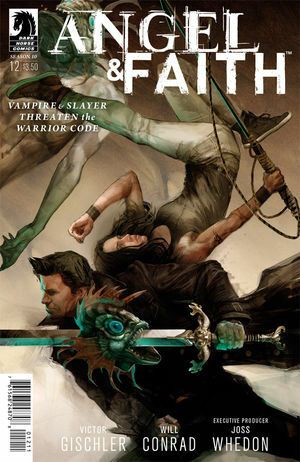 The biggest problem having him take the spotlight is that his story of woe is uninteresting as it is uninspired while it also felt strange to see him calm and understanding about needing to wait while Fred and Illyria are sorted out, but then immediately go out and get in an angry bar brawl. 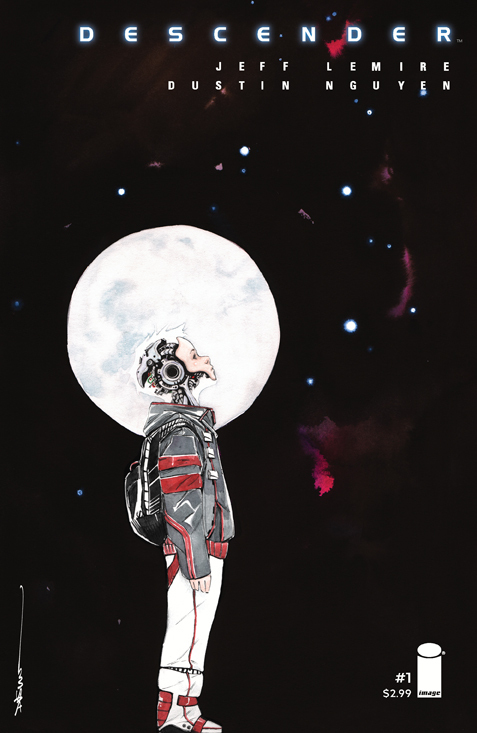 Descender comes out the door swinging with some very ambitious concepts for a brand new epic space opera. 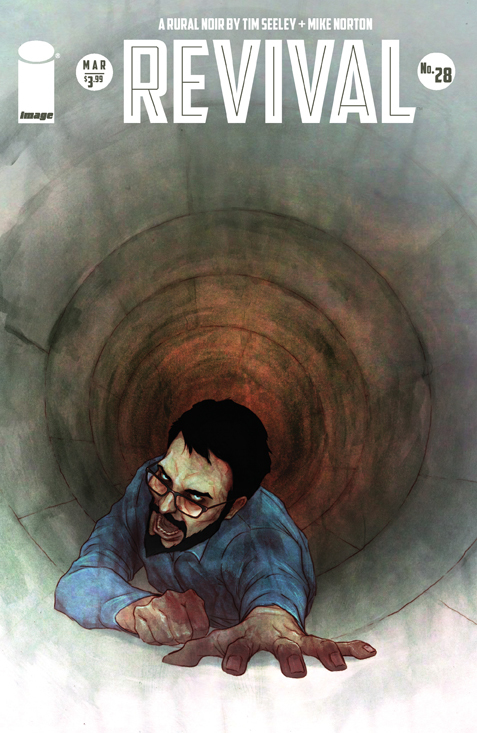 There is a lot packed into one issue with some ideas working and others not; while we’re not quite sure it will be able to deliver next month, the foundation laid is fairly solid, paved with beautiful, striking art from Nguyen. 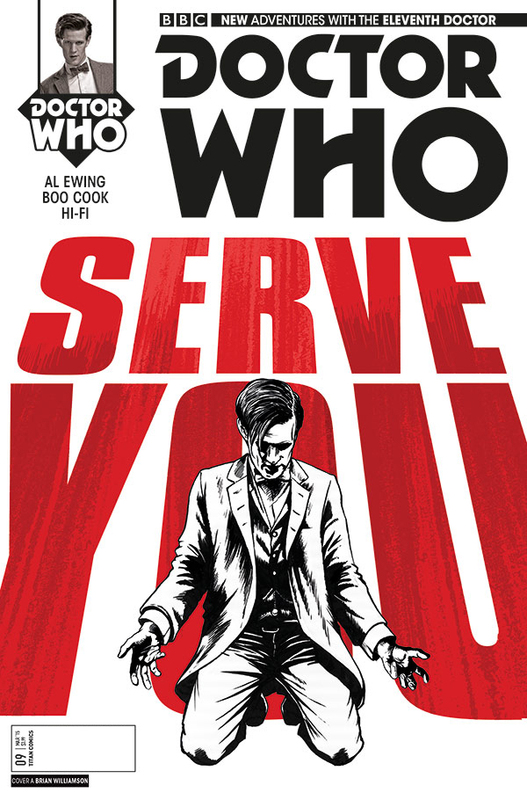 The Doctor thought he could finally take on SERVEYOUinc by taking the fight to their level with a business deal. Of course things don’t go as planned leaving his companions to take the spotlight and all of us to ponder the thought-provoking idea of who the Doctor is at his core. The story continues to integrate its own threads back into itself with successfully integrating in a soldier that was transported back into the past as he made sure never to forget what happened while also playing with the reason the WWI battlefields were so tempting to the Weeping Angels is the same reason they’re not getting enough nourishment. 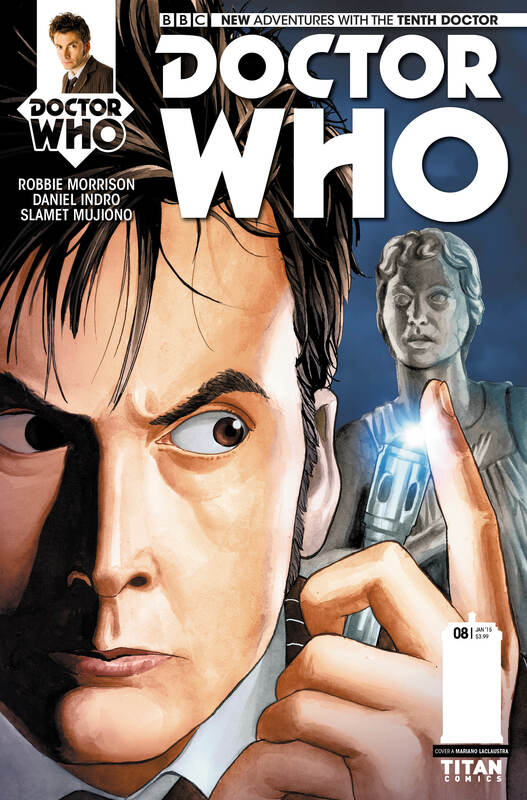 Intelligent, clever, and witty, the series once again shows why fans of Doctor Who or not will want to read this. One of our most enjoyable things about God Hates Astronauts is the pure insanity it brings into our lives every month, but by its own standards the latest issue feels a bit toned down. 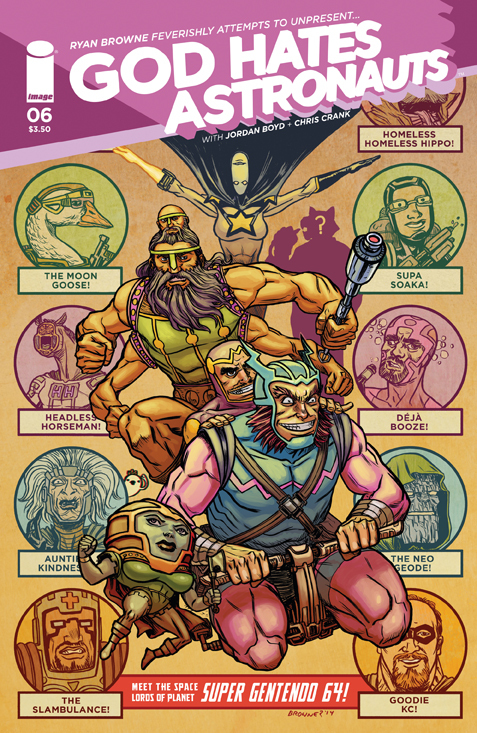 The focus is brought on the large battle between the crab army and Earth which features plenty of action, but not as much of crazy excitement as Gnarled Winslow or the Anti-Mugger who both get little more than two pages each. 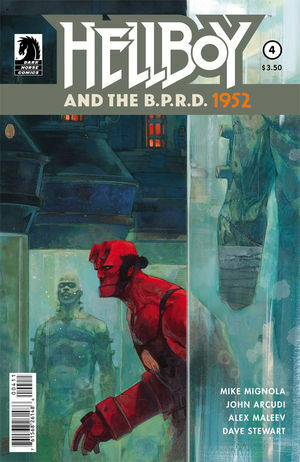 The series has felt like its been light on Hellboy as the B.P.R.D. members have taken up much of the time, but finally the titular hero gets plenty of time to take the spotlight. While it took longer than it should have to get to where it is, we did enjoy watching Hellboy in action while the mastermind behind the events presented a nice tie-in with Hellboy’s origin. 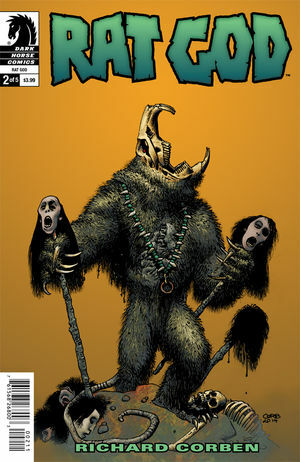 The second issue takes a majority of the focus of the issue away from Toyo and his growing army of psiots and instead shines on Gravedog, the leader of H.A.R.D. Corps current field team. Gravedog proves to be a much more fascinating character to us than Toyo ever has, as he manipulates himself into a surprising situation we didn’t see coming until after. While we never really though Josie would actually complete her latest assignment, the issue actually did a great job of making us second guess our assumption until it was actually over. Before we weren’t quite sure what direction the series was heading toward, but now that Josie’s entire life is in jeopardy, we can’t wait to see what comes next. The crossover features two stories, both taking place well enough in the past that it doesn’t have to worry about affecting anything that has come since Cassie and Vlad visited Buckaroo. The first story was an enjoyable tale of the two actually meeting Nailbiter, which plays things a little to safe, while the second story cuts out Edward; he is only referenced in setting a trap, one of which we don’t exactly understand as to why he would bother with considering it unnecessarily draws the attention of the two serial killer slayers towards him. If you had no background knowledge of what Neverboy is about, the opening issue really does nothing to explain what you are witnessing, even once you’ve arrived at the final page. 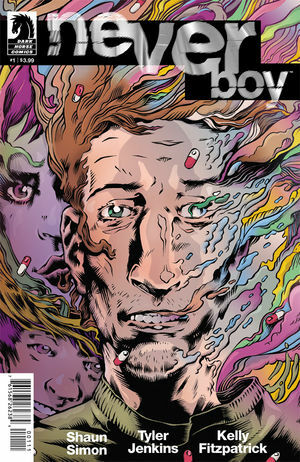 The story is a bit like an acid trip that melts around our main character; it has some interesting concepts we’re curious to see explored, but otherwise it didn’t feel cohesive enough to really draw us in yet. 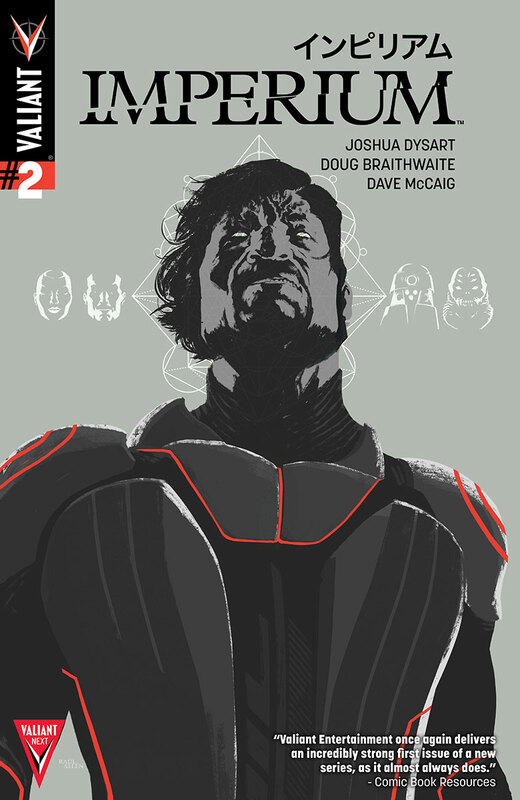 Entering into the second issue, things picked up much better than they did in the first issue making us believe this is a story that will come off much better being read all at once in trade form. It still lacks the horror qualities that we expected from Corben, but it is turning out to be an interesting super natural thriller regardless. This week finds many strong threads being played out, none more so than Em finding her Aaron and learning a little more about the origin behind the Revivers. The biggest complaint for this week is the balancing act of all the threads was a little to much to pull off, leaving several to feel like after thoughts, even though we are excited that they all seem ready to come to a head next month. As Days of Deception winds down, the Autobots’, and Decepticons’, new missions on Earth are put at risk when Prowl combines with the Constructicons to form the massive Devastator. Also in this issue, Thundercracker races desperately to stop the humans’ new army of cloned Seekers, with a little help from a former “friend”. 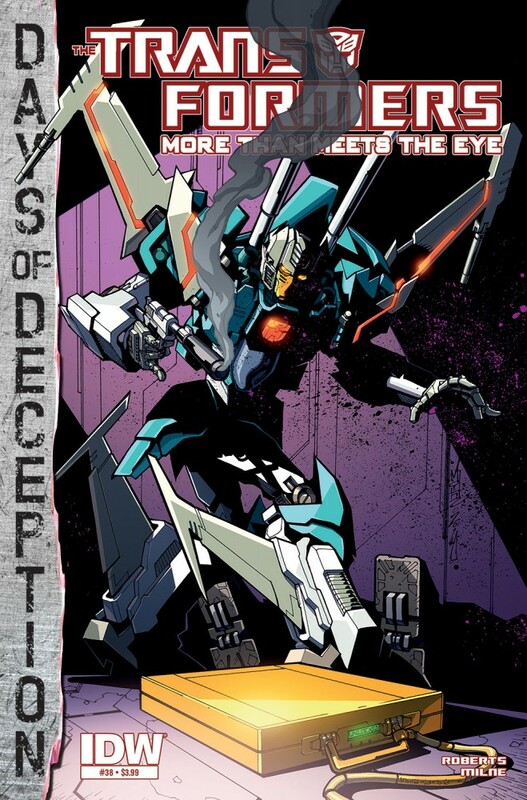 Once again MTMTE takes readers down the rabbit hole with the final chapter in their latest story arc. 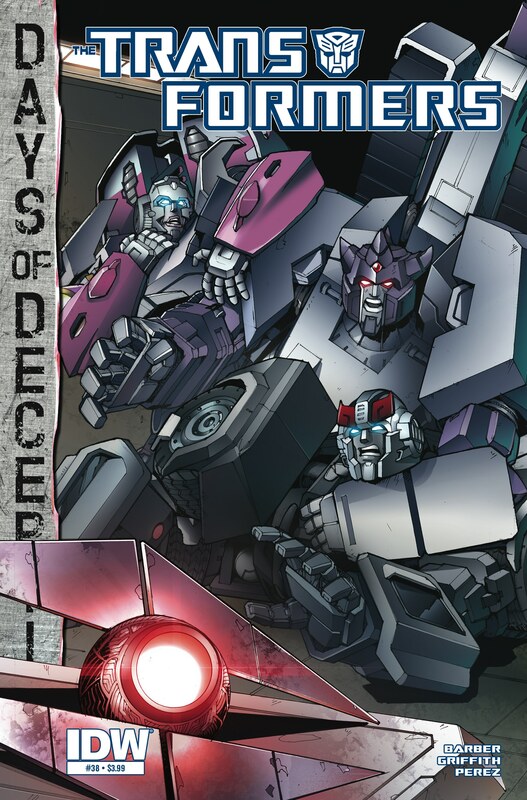 Rodimus, Megatron and the crew of The Lost Light are tasked with stopping a time traveling compatriot from irrevocably changing the history of Cybertron. The only problem? Everyone on board may not be on quite the same page as to whether or not the past should be preserved. 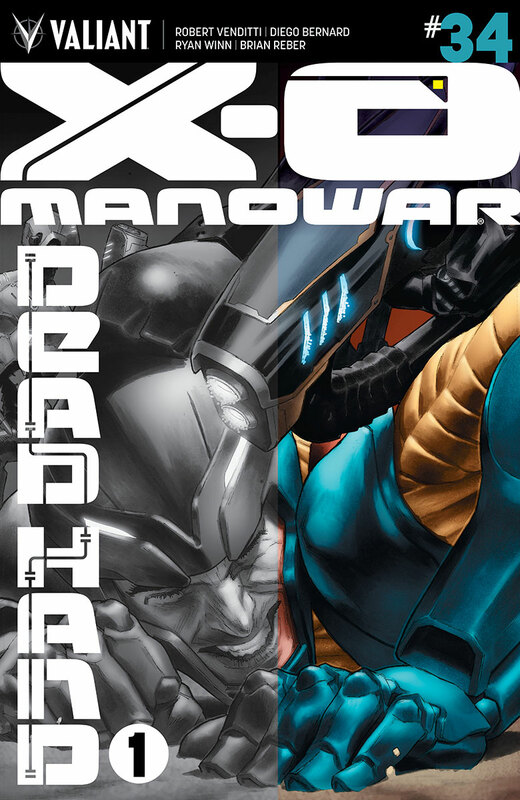 In one big issue, Venditti has (seemingly) forever changed X-O Manowar’s world more so than even Armor Hunters did, which this is partly spun out of. If we did just witness the destruction of an entire planet, the move is surely very bold, but perhaps a little to rushed considering the ramifications this could mean for the series going forward.